A lifestyle that looks beyond and expresses the essence of the metropolitan spirit, for men and women who want to be themselves. Police, was launched in Italy in 1983 as a unisex eyewear brand with a metropolitan theme for those who set out to get noticed. The name is no coincidence. It triggers the imagination and dreams of the younger generation, and offers a whole new outlook. The name evokes the American "on the road" lifestyle, but also the strong urban spirit of the city of all cities: New York. The Police attitude made its worldwide mark at the outset as an Italian brand with potent international overtones. This alternative, nonconformist, almost irreverent brand immediately carved out a niche of its own. Young, authentic rebels, who follow the trends but seek to stand out with originality and flair, are thus irresistibly drawn to the Police "community". The Police brand continues to ride above the mainstream fashions, without ever compromising its personality. 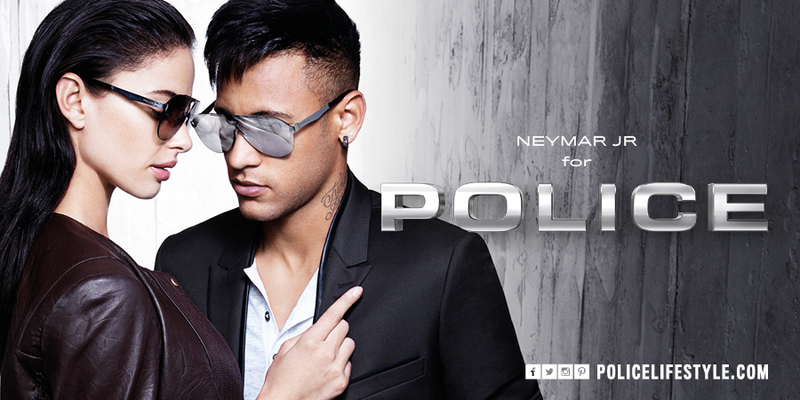 This has been portrayed over the years by important Brand Ambassadors, such as Bruce Willis, George Clooney, David Beckham, Antonio Banderas and the football star, Neymar Jr, who have interpreted and voiced the POLICE values, style and world.